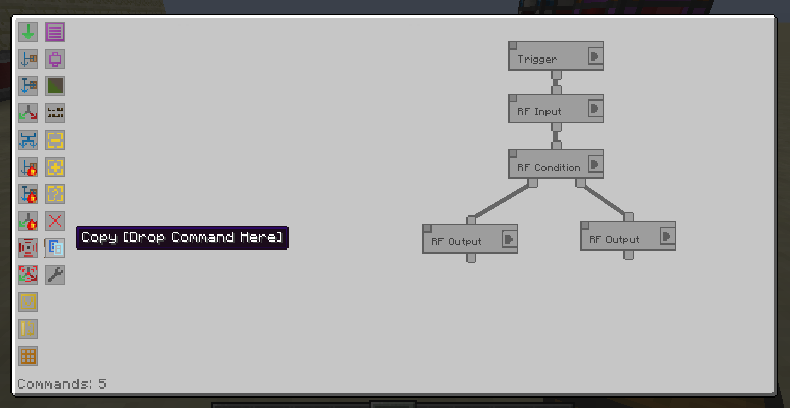 Not only can this wonderful piece of digitized technology be used to copy setups between managers in a world, but with admin-accessible commands can also be used to copy saved setups between worlds! 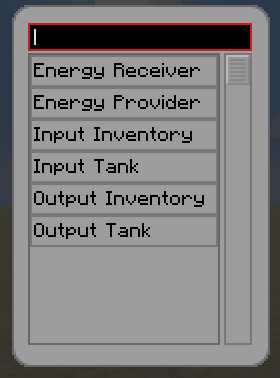 Also included is our patent pending Inventory Manager upgrade which modifies the standard Manager to provide RF Input, Output and Conditions - as well as including a Gui enabled Copy button! But wait! there's more - we are also throwing in for no additional cost a unique RF Node which allows the manager to interface with more traditional RF transportation methods and certain engines which do not respond to the normal transfer methods. Storable, searchable and editable - the factory labeller allows you to assign unique names to anything that can be connected to a manager - making it easy to identify when you are setting up commands. Type in the text box to set a label or to searched stored labels - click any stored entry to select it, double click to edit it. 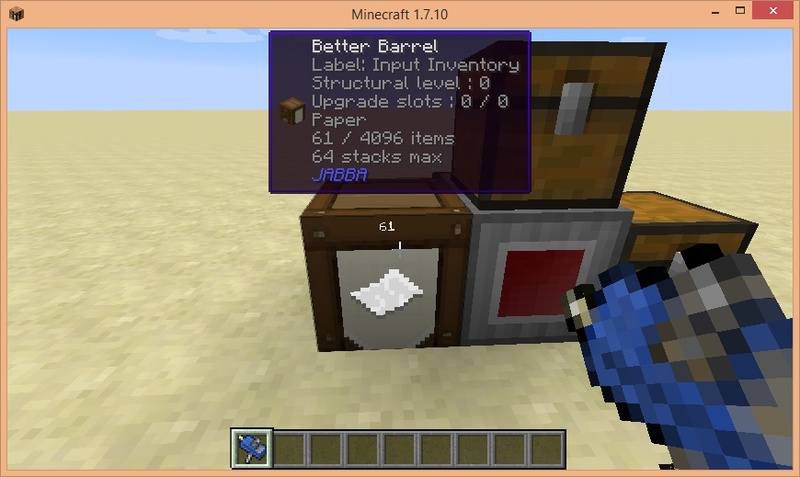 Closing the GUI will set the Labeller to whatever was in the text box at that time. 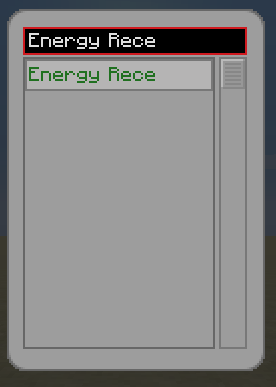 Left click to set labels, right click to open the gui. Setting a blank label will remove any existing labels. And if you thought we're done there - oh boy are you in for a surprise! Also included are a number of fixes for SFM bugs which improves the stability of worlds through updates, optimizes the item search speed (and fixes another client crash), and correctly renders blocks and item in the Manager GUI. hillburn, would it be possible to change the whitelist function for the pastebin feature to a simple enabled/disabled function? 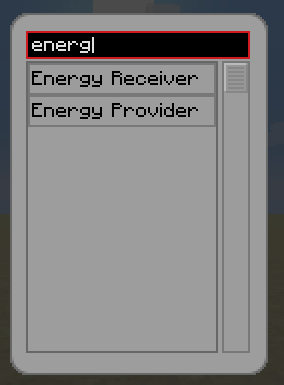 I've tried adding my name onto the whitelist, but often it doesn't work, and it can be quite difficult to use this function on a server where you'll have to manually add names to the list. Odd; I got a "new files" email, but I don't see any new files. I added a "Client Only" version of 0.10.16 for people who want the search speed boost but the server doesn't have SA installed. You'll see it if you look at the details of the 0.10.16 download. Umm... So this mod is great and all, but I can't seam to find a download for SFM, and this was as close as I could find, just short of PMing Vswe himself. 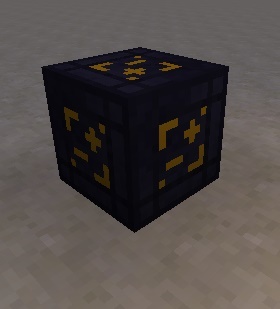 Given that this is an add-on for that mod, I wondered if you could help me? I mean, I will use this mod, but it probably needs SFM right? Sorry I know this is unorthodox, but I'm almost at Witt's end here. THANK YOU! I did a search for it on cruse forge, but came up with nothing, and his wiki is down, so I can't download it. How did you find it? Or was it just in your bookmarks tab because given the addon it is only logical. Thanks again, and now that I can try it, I love your mod! SFM only does so much, but for a big factory that gets a lot of remodels because I can't wire squat, so I just rebuild and have to reset my manager, just the code copying makes it worth the install, but all the new things I can see, I think I have some work to do. Heres the pastebin of the event. Update: I sorta got it to work by enabling the "restart" option instead of ignore. Ignore sounds more like what I thought I wanted, but apparently not. The difference is that if the delay trigger has started it's countdown but hasn't fired yet, ignore will ignore all extra triggers whereas restart will restart the counter whenever it is triggered. Getting a server crash on version 0.10.1. Happens whenever I place an inventory manager or attempt to access one. I'm guessing "TileEntityAENode" is something to do with AE or AE2. I don't have either of these installed in my pack. Could you please fix this? 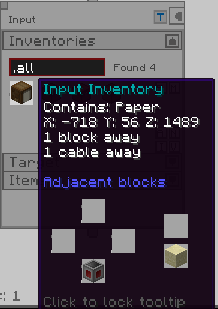 Check the config file - there should be a config option to disable it, but it shouldn't even try to load it if AE2 isn't available so it's likely that someone is doing something screwy that is confusing the modlist. Please make your latest Version of your Mod compatible with Forge 1291 because i want to use recommended version of Forge. would it be possible if you move a group to the delete button to have the whole content of the group get deleted along with the group instead of having the content spilling out? it's always a pain to still have to manually drag all the commands to the delete button when I delete a group.